Life is about choices, and on labor day weekend we chose to have fun. We have house projects to do, money to save, and blogs to write…but somehow exploring always wins out unanimously. With a three day weekend awaiting us, we decided to drive to Southwest Colorado and explore Mesa Verde National Park. 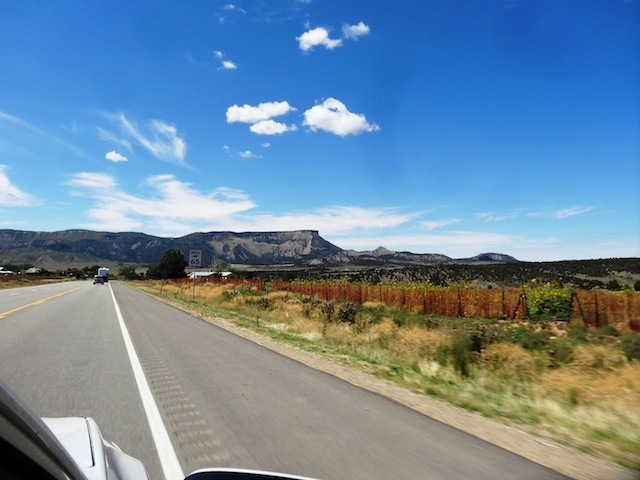 Mesa Verde is about an hour and a half west of Durango, CO so we set our sights on the park gates between Durango and Cortez, CO.
Everything was packed the night before and Bandit was dropped off to visit his friends at the local boarding facility. Of course, we live for early and the Saturday 4am alarm was just that. We showered and grabbed a quick cup of coffee and we were out the door and on the road. Fall is definitely in the air and we enjoyed an awesome sunrise as we headed south on highway 285 with the dash temperature reading 35 degrees. 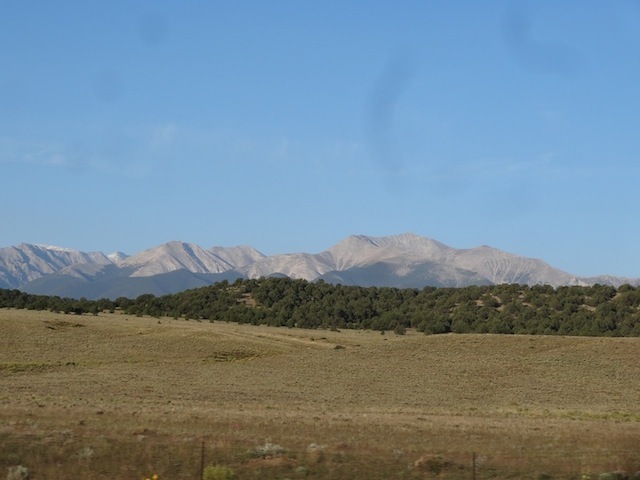 A couple hours later, we made a quick pit stop for breakfast in Buena Vista and continued on our course southwest. 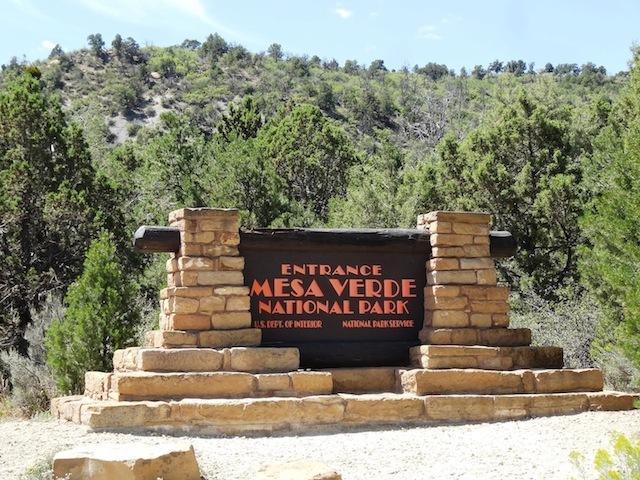 We arrived at the Mesa Verde park headquarters around 1pm and quickly made our way inside to purchase tickets. 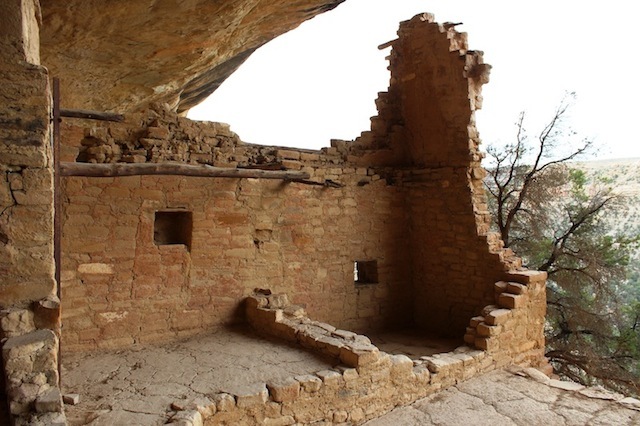 There are areas of the park, which can be explored on self guided trips, but the better preserved cliff dwellings are led by Park Ranger guided tour only. Unfortunately tickets cannot be purchased in advance, but we arrived just in time to get the last tickets for the Cliff Palace and Balcony House tours later that afternoon. We had a couple hours to kill before the first tour started, so we drove the 45 minutes to the other side of the park and checked out the archeological museum. The museum had some unbelievable artifacts collected from the area and gave us a great introduction to what we were about to experience. The park is 82 square miles and houses the best preserved cliff dwellings in the world. They were built 800 years ago by the Pueblo/Anasazi Native Americans. 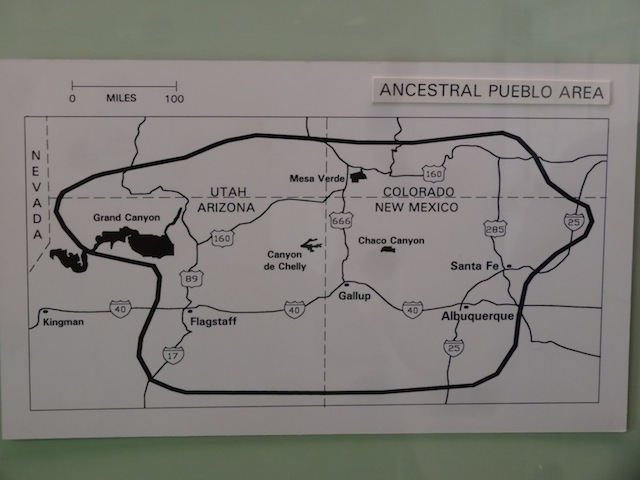 The Pueblo lived in this area until the late 1200’s when they fled south because of a 24 year long drought. We explored the museum with its Native American artwork , clothing, pottery, tools, and even a jar which still had corn in it. 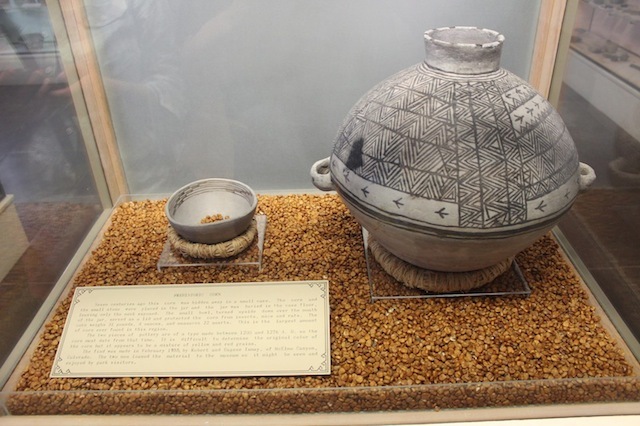 This jar and corn weighed 31 pounds and it dates between 1200-1276!! After our American history refresher in the museum, we hiked down a 3/4 mile trail to the self guided area of Spruce Tree House which was located just below the museum. This is where we got our first glimpse of a cliff dwelling. It is completely mind boggling that something made of mud, straw and dirt is still standing after 800 years. Because of the dry climate and the natural shelter from the cliff overhangs, we are still able to visit this area and see how these great people once lived. 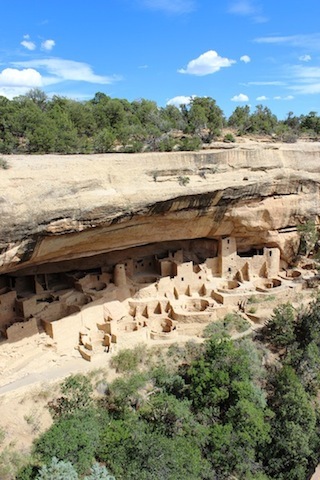 There are over 600 cliff dwellings in the area which are still being explored and excavated. They are essentially small villages built into the rock and you can still make out the different rooms that were used for storage, living space and even ceremonial areas. Some of the original colored plaster is still visible on the walls and there is a reconstructed kiva that you can climb a ladder down into. After fully exploring our first cliff dwelling, we were excited to see what the actual guided tour had in store for us. Heading back up the trail to the parking lot we passed the out of state tourists who were huffing and puffing because of the 8,000 foot altitude. We drove down the road a few miles to the Cliff Palace tour and listened to the ranger give a great historical background of the area before we headed down into the canyon. The Cliff Palace tour was the easiest of the two we signed up to do. This one required a moderate hike down into a canyon to actually get to the dwellings and then we had to climb a few ladders and a rock stairway to get out. The Cliff Palace is probably the most photographed and largest of all the cliff dwellings and you do not realize how big it is until you are standing at its base looking up. It is estimated that 100 people lived here and it may have served as a social and administrative site. When they were built, the Pueblo started at the back of the cliff wall and worked their way out. This allowed space for about 150 separate rooms, some of which still had soot on the ceilings from their cooking fires. We were not allowed to go inside any of these rooms, but we were able to walk around them and look in the windows and doors. One structure, amazingly still had original artwork painted on the walls. 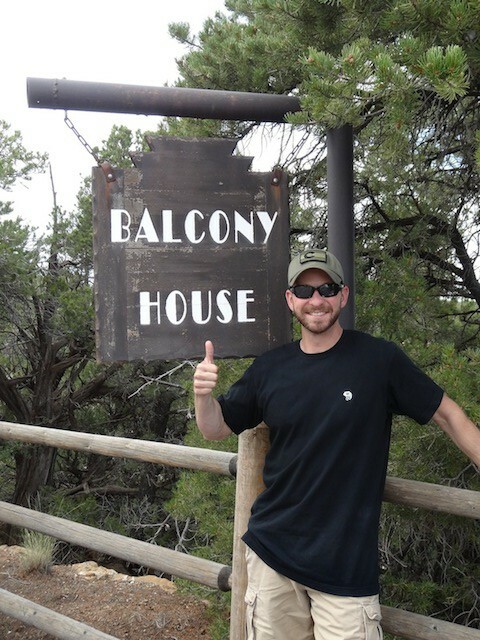 Once we climbed out of the canyon from the Cliff Palace we headed over to our last tour at the Balcony house. 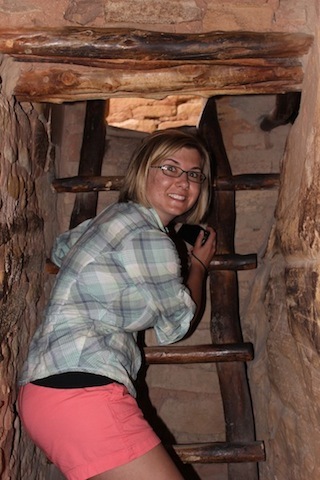 The long tunnel that you have to crawl through, tall ladders and steep rock steps make this “the most adventurous tour in the park.” It is not difficult, but unfortunately there are some people who cannot go on this tour. That being said, I told Kristy to look behind her at the view of the canyon when she was on the 30 foot ladder and she refused and quickly climbed to the top. The Balcony House is much smaller than the Cliff Palace, but because it sits further behind the lip of the cliff overhang, it is one of the best preserved in the park. All the cliff dwellings have had reconstructive work done, but none of the work takes away from the original construction. I think most of the work was done to preserve it from further deterioration and they did a remarkable job matching the existing materials. Since we had already seen three dwellings, the best part of this one was the ladders, tunnel and chain we had to climb to get out. In true JKBAdventure fashion, we managed to squeeze into what was suggested for 2 day trip in the park into 3/4 of a day. After the Balcony House tour, it was getting late, so we drove the 45 minutes to the park entrance to our campsite for the evening. It was time for dinner, so we quickly set up the tent and drove back into Cortez to find some chow. Thanks to Yelp we found the Shiloh Steakhouse and decided to give it a try. Kristy had the beef tips and a salad and I had the chicken fried elk paired with a Durango Amber Ale; both meals were excellent. We cruised into camp well after dark and hit the rack; we had big plans early the next morning.